Google has released the latest Android figures and it's good news for Jelly Bean as it's now on almost half of all handsets running the search giant's software. 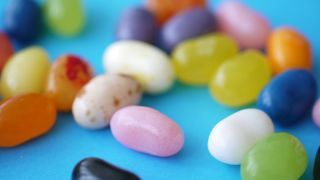 We say almost because the actual figure is 48.6%, but you get the picture - although the first incarnation of Jelly Bean (aka Android 4.1) is currently the most used with 36.5% of the Android market to call its own. Android 4.0 Ice Cream Sandwich saw its share drop to 20.6%, while the now ageing Android Gingerbread (that's version 2.3 folks) still accounts for 28.5% - hopefully Google can continue to accelerate the updates and perhaps one day we'll all be enjoying the same flavour. All this talk of food is making us hungry, so while we step away from our desk to eat check out some more of our awesome blips.